Widely acknowledged as one of the most incredible superstars in the WWE, Dean Ambrose is now heavily rumored to leave Vince McMahon's billion dollar company after WrestleMania. The Lunatic Fringe turned heel in late October when the former WWE Champion brutally ambushed Seth Rollins and carved his own path to greatness. With Roman Reigns leaving Monday Night Raw in unfortunate conditions that night, the Lunatic took charge of the situation and absolutely terrorized the Architect to unconsciousness. Despite the fact that he garnered such a nuclear heat for the vicious attack, Ambrose has failed to bring any generosity towards his heel run and most of the blame for this goes to the creative booking of the WWE. According to multiple claims, Ambrose is set to quit the WWE and move on from Vince's company after being upset with his creative direction within the squared circle. But, could there be any way Vince McMahon stops this from happening? Let's find out. 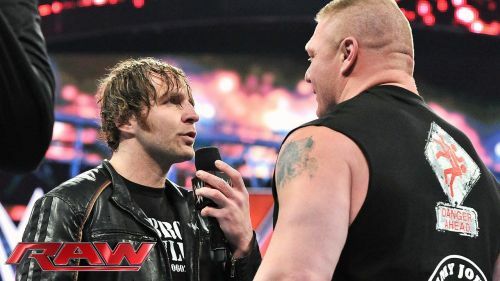 Here are the 4 biggest plans Vince McMahon could make to stop Dean Ambrose from leaving WWE. After Roman Reigns left the company temporarily to recover from Leukemia, Ambrose's shocking heel turn broke the internet and led the WWE fans to anticipate what might transpire next. Unfortunately, Vince McMahon never went on to focus on the Lunatic Fringe as the Chairman continued to push other major stars on the brand, with Drew Mcintyre, Braun Strowman, Baron Corbin, and Bobby Lashley. Despite being recognized as one of the most creative heels in the professional wrestling world, Dean Ambrose has failed to bring a 'villainous vibe' to his character in the WWE. His work on the independent circuits is absolutely deadly and while the company would have started off with a bang, they eventually moved on and started concentrating on elevating other heel stars. Considering that he is rumored to leave the company, Vince McMahon could prevent that from happening by pushing him as a ruthless villain against John Cena in a marquee match at WrestleMania 35. 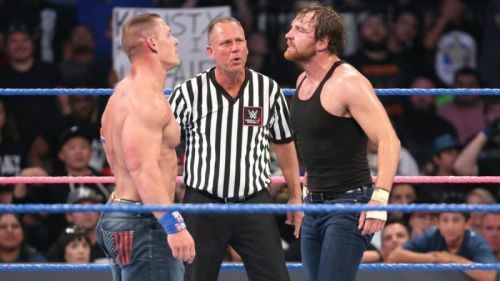 Defeating John Cena at the biggest show of the year would instantly bring the spotlight on the Lunatic Fringe and could coerce him to think otherwise.